Tairare Block is named for the native tree that once was found all over Northland, New Zealand. Our logo represents the native wood pigeon, the Kereru, it is the only bird large enough to spread the seeds from the Taraire Tree. Grapes have been grown on this site since the 1960’s with the first vintage being released in 1967. The varietals are constantly changing but vintage Port and Sherry have continued to be a speciality. Taraire Block Winery produces a number of different wines, ports and sherries. We welcome visitors all year round although our opening hours may vary. 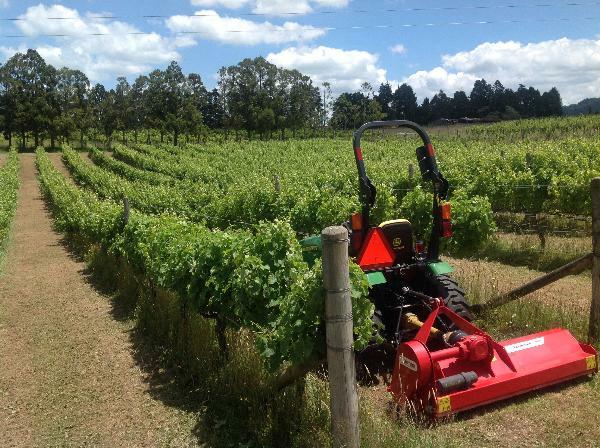 Our vineyard is arguably the oldest in Northland originally planted in the 1950's.